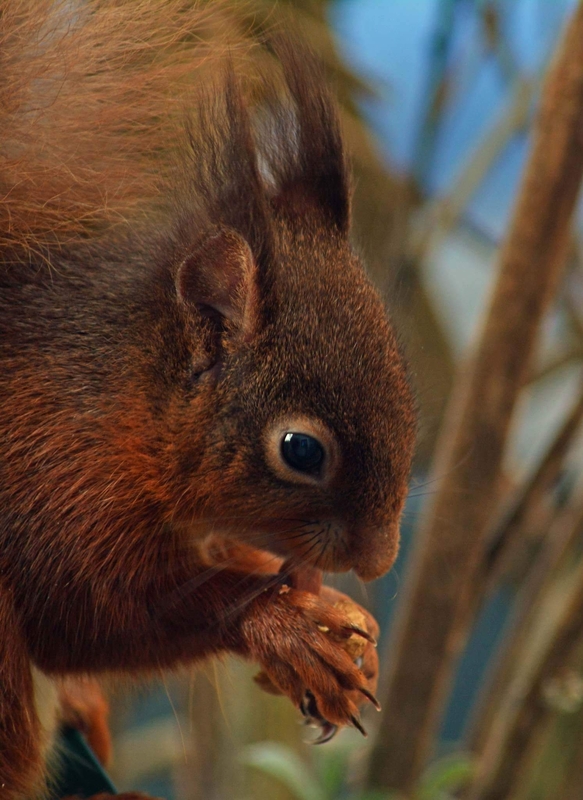 Lets start a new topic to find out some of the best areas to see Red Squirrels in Scotland. I will start by adding Pitlochry to the list. 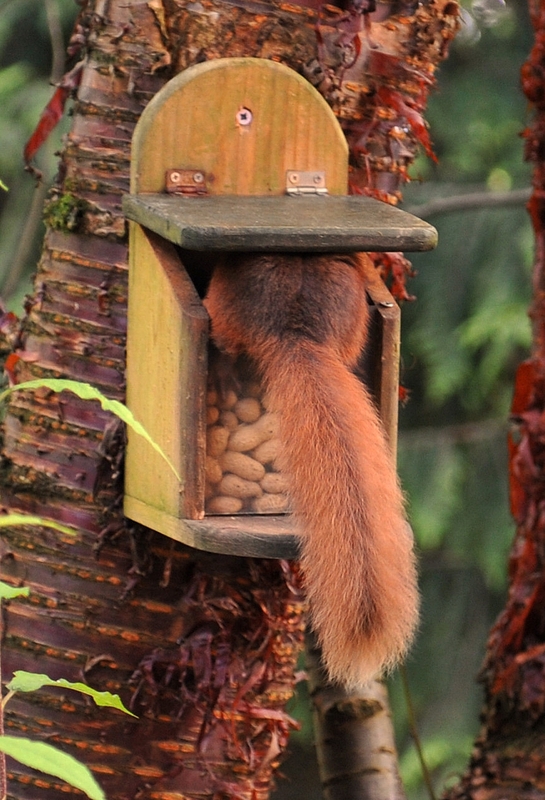 Hopefully this will help Saving Scotlands Red Squirrels too. 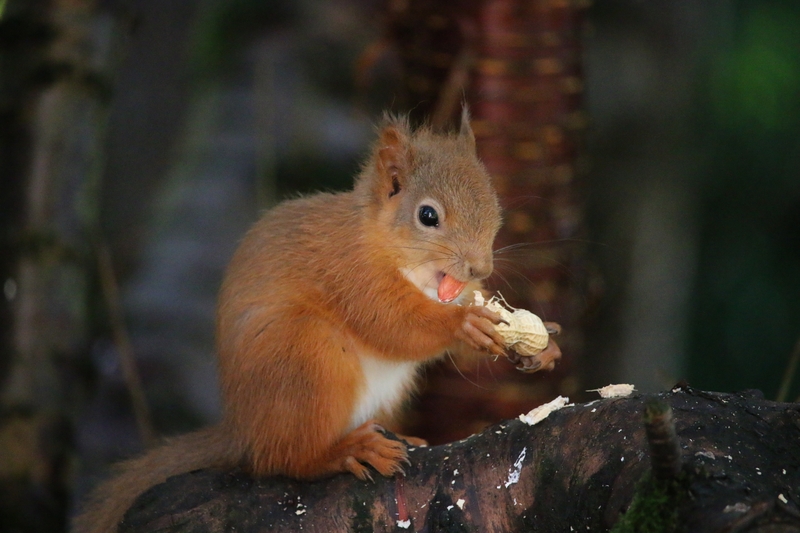 Here is a great photo of a little cheeky Baby finding his first peanut at Torrdarach House B&B. I saw one in my garden yesterday. I'm in the Cowal Peninsula. I will be in Edinburgh and Inverness in September. Any chance for red squirrels in either area? Hi @Jennie_Dallas_1853, I am not sure about Inverness but Edinburgh definately only has Grey Squirrels. At least I haven't come across any Red Squirrels there. @fishypro - what a wee cutie - how lucky are you? If you do the Red Squirrel walk from the car park at Old Bridge of Tilt - you might be lucky. They have a feeding station and we saw them there. I've also seen them at the Hermitage near Dunkeld, the Potting Shed coffee shop at Inshriach near Aviemore, Killiecrankie Visitor Centre, Landmark at Carrbridge and Inchree Falls near Onich. I defy anyone not to have their day brightened by the sight of one of these bonnie wee beasties! Hey @Fofoma, Thanks for the information. I will be able to pass that on. Hi @Scathach, I love Cluny House Gardens. My Garden is very similar to Cluny House only on a smaller scale. 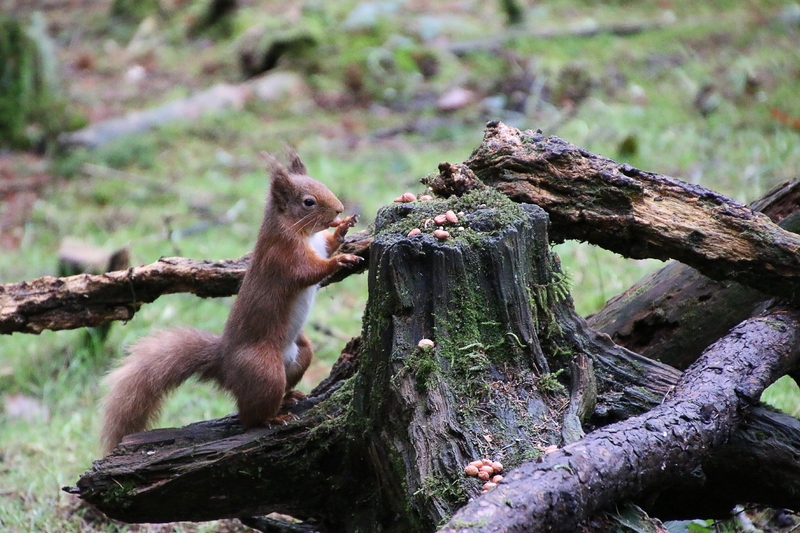 Still full of Red Squirrels though. Thanks, fishypro. That little cutie in your photo inspired me. Fofoma: I have a bird watching trip planned near Aviemore. I will be sure to stop by the Potting Shed for red squirrels and a cuppa. Thank you for the tip. I haven't seen one this year yet but always catch a glimpse when walking around the grounds of Blair Castle and up the River Tilt. Killin is my never fail spot. If I don't see one there something's clearly wrong. Love watching them nipping around. 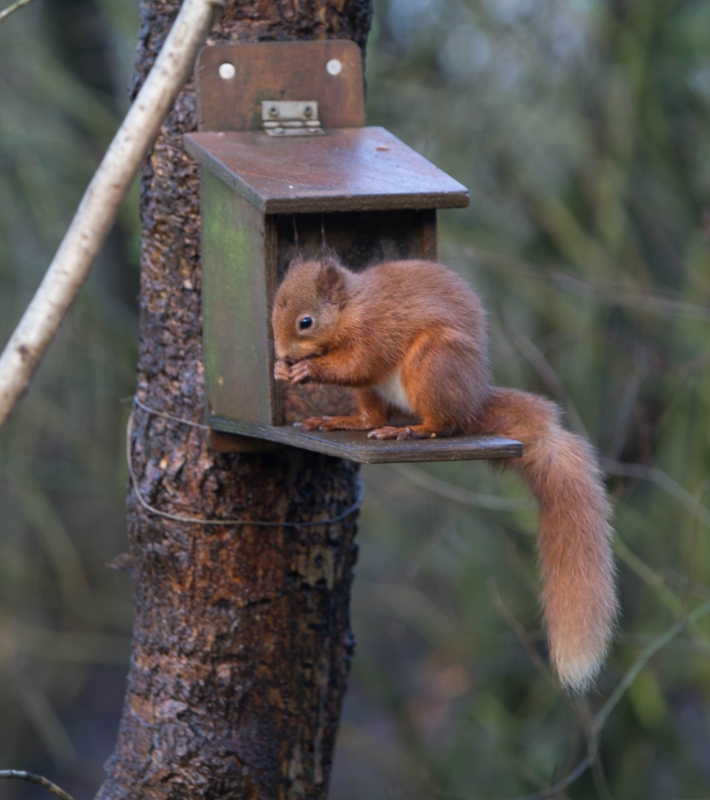 The Lodge at Aberfoyle is a great place to watch red squirrels getting up to mischief! Och I'll join in with a wee photo too. Here's one in Killin snapped from my hotel room window. I was staying on a farm near Coldingham recently and was surprised to see warning red squirrel signs up by the roadside. I didn't expect to find them along the Berwickshire coast for some reason. @fishypro My garden is frequently visited by grey squirrels but close to my house we have white albino squirrels too. They're gorgeous. A pair have mated so there's a growing number appearing. It's not uncommon to find wildlife photographers lurking in the bushes now. @Samantha_Gran, your new challenge, if you wish to accept, is to post a photo of an albino squirrel. 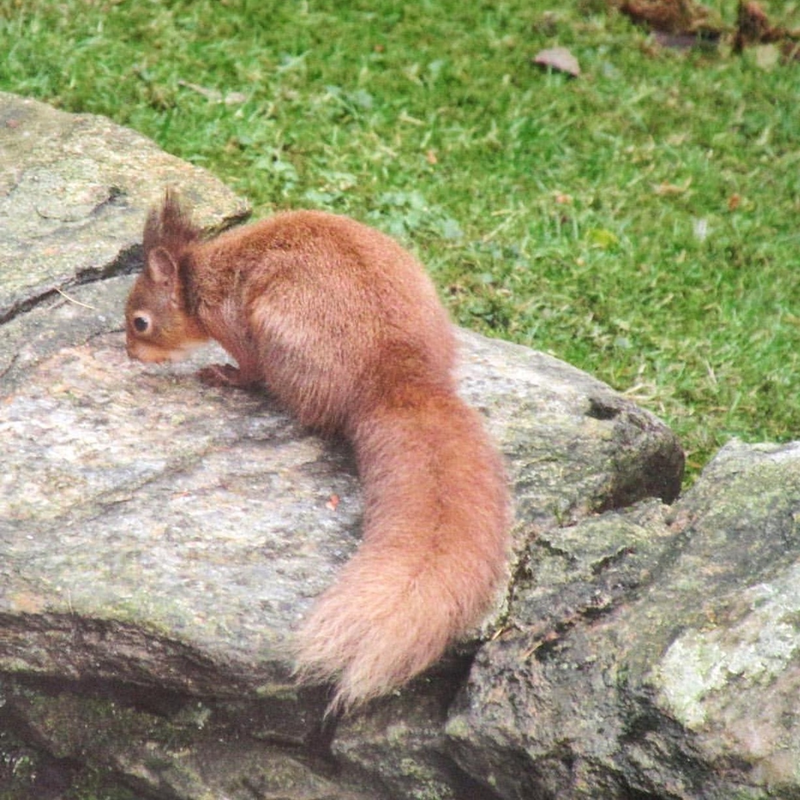 Here is another red squirrel spotted in Pitlochry. 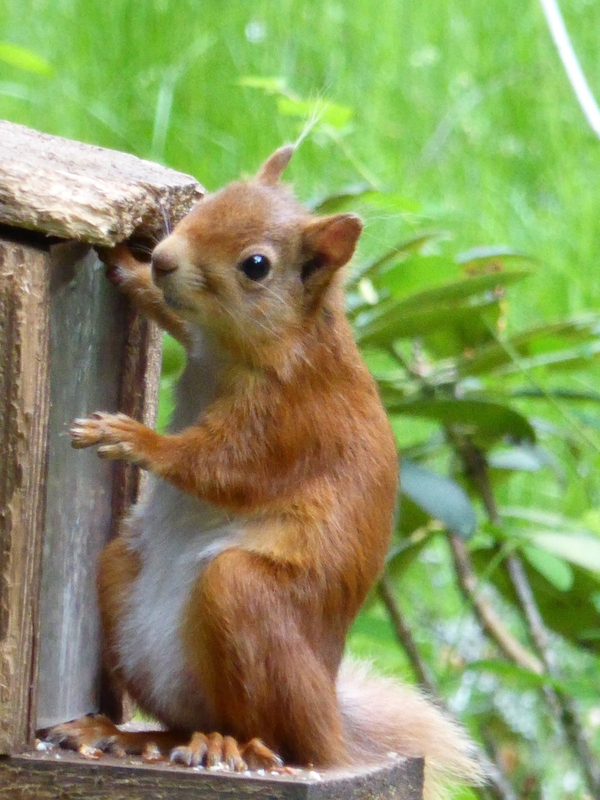 Thanks to @SimplyEmma, I've just discovered that Devilla Forest near Kincardine in Fife has a Red Squirrel Trail. @Jennie_Dallas_1853 Don't forget to have a cake when you are at the Potting Shed ...they are soooo good! @fishypro I see them fairly frequently but never been fast enough to snap one. I'll need to skulk about in bushes near some retirement flats. I'll either share a photo of an albino squirrel or one from the inside of a police cell at St Leonard's when I'm picked up for suspicious lurking. 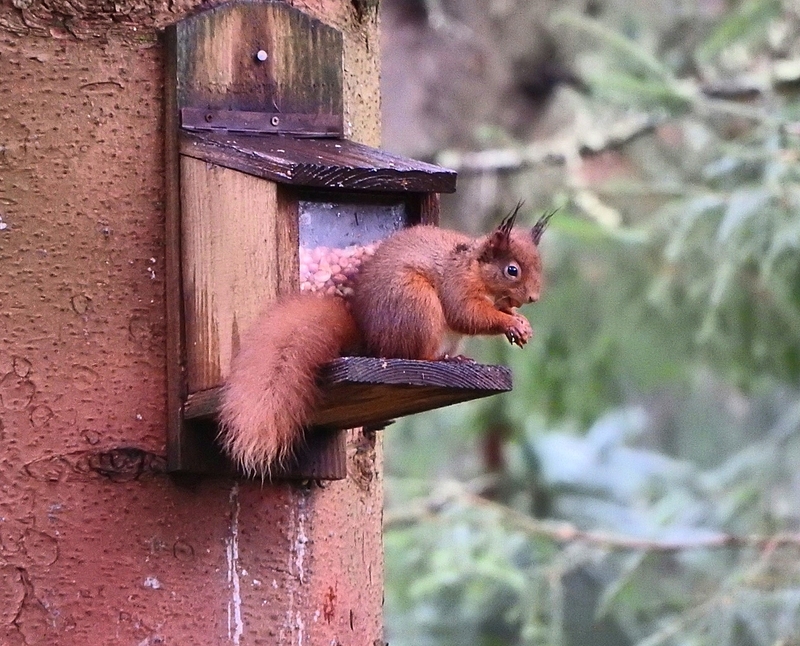 yeah David Marshall Lodge, Aberfoyle is a great place to watch Red Squirrels also the Scottish Deer Centre, Fife. 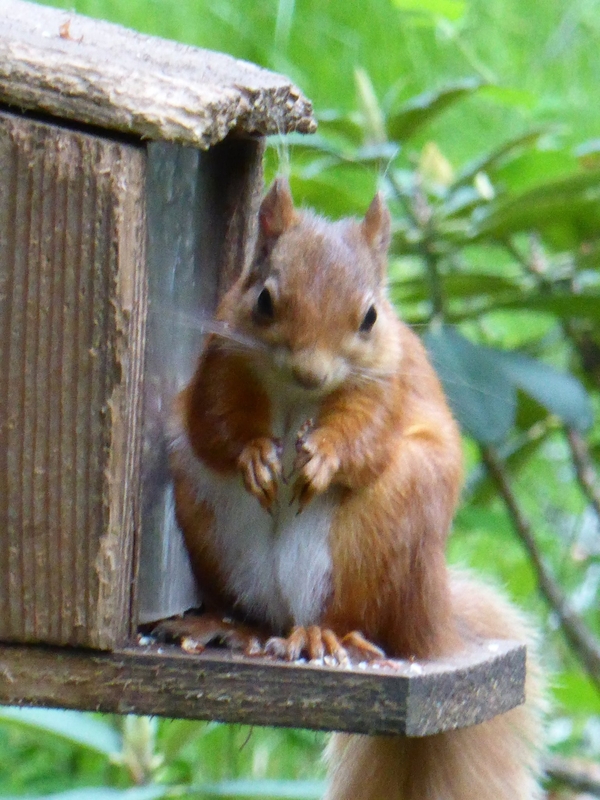 A cheeky Red Squirrel at Torrdarach House garden. This was taken at Breakfast time by a guest. 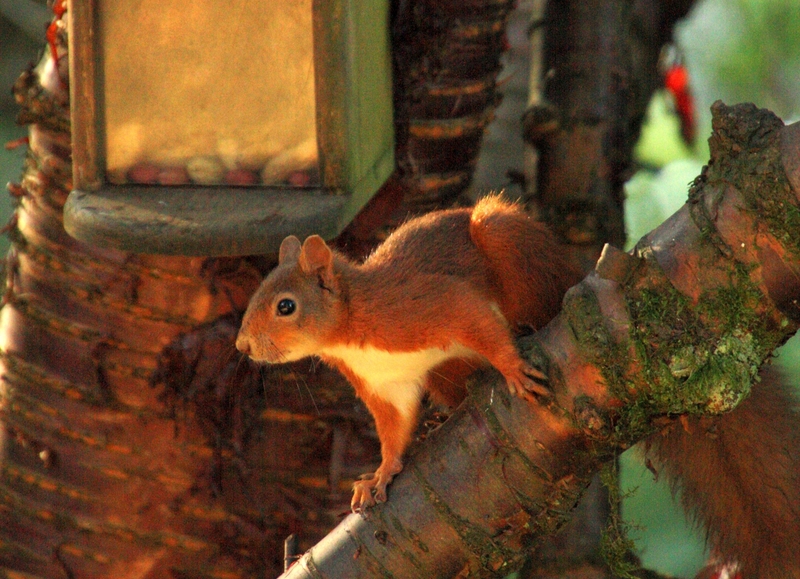 This Red Squirrel in our garden is a regular visitor. 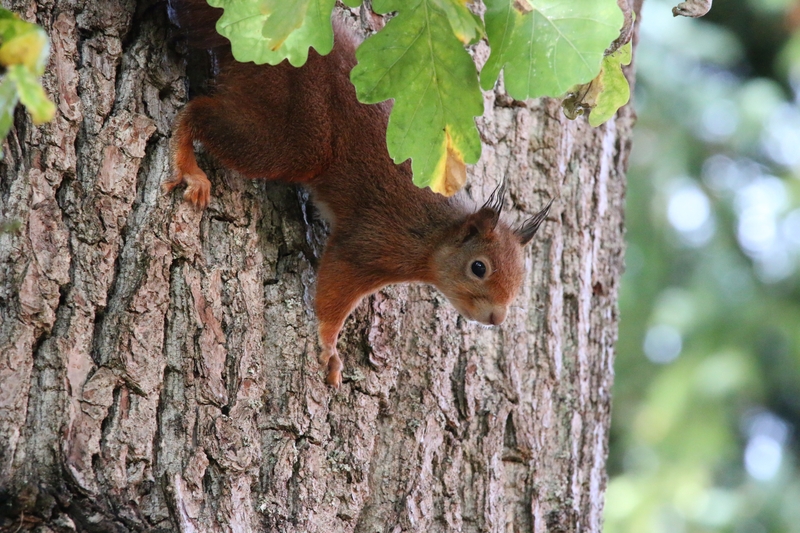 Scone Palace near Perth have some red squirrels. Another squirrel shot from the garden. 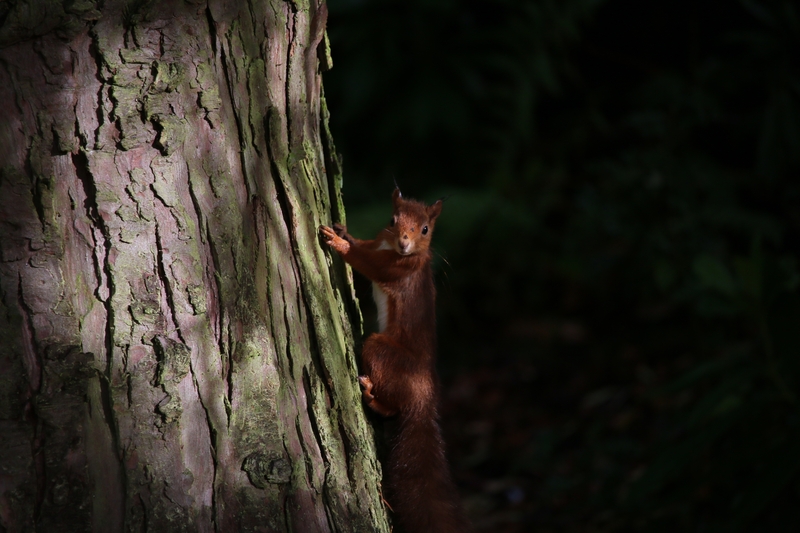 @FullStopNextChapter, I was at Scone last week and saw lots of Grey Squirrels but unfortunately I didn't get to see one of the red Squirrels that you have mentioned. Love the squirrels! This cheeky chappie was at our kitchen window! 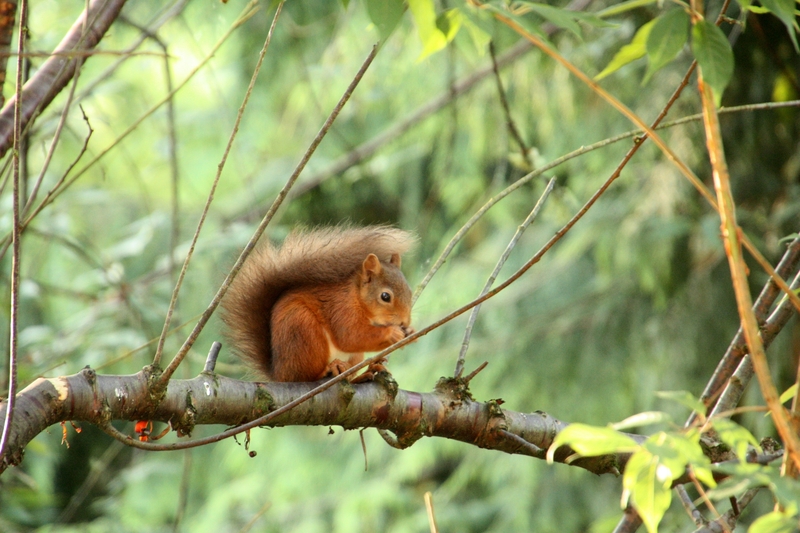 Another little Red Squirrel in the garden. I could watch them all day! I stayed at a wonderful B&B in Grantown-on-Spey a couple of weeks ago called Edencoille - I ate my breakfast watching a pair of red squirrels eating theirs a few feet away outside. Wonderful to watch. I spot them quite frequently in that neck of the woods.